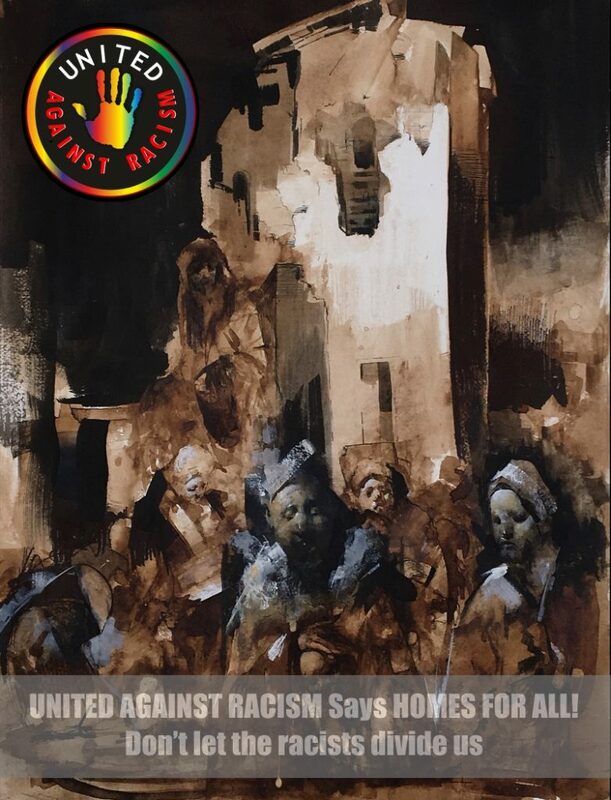 UNITED AGAINST RACISM Says HOMES FOR ALL! 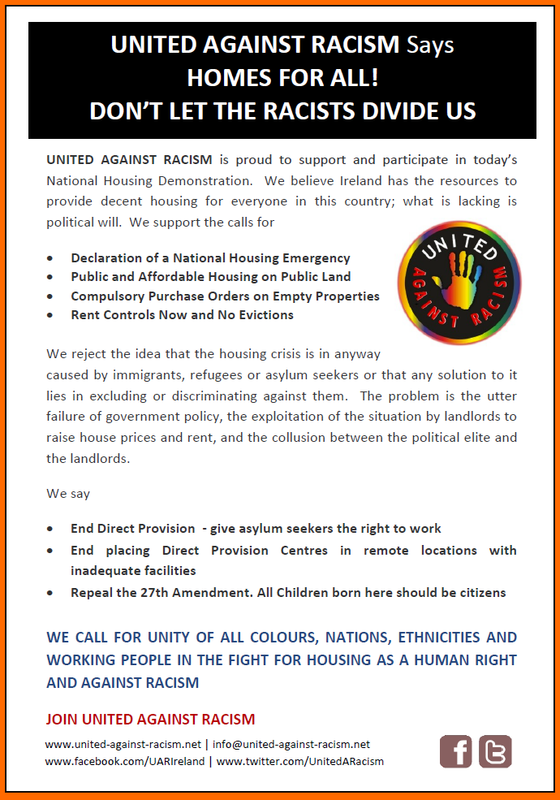 United Against Racism is proud to support and participate in today’s (1st December 2018) National Housing Demonstration. We believe Ireland has the resources to provide decent housing for everyone in this country; what is lacking is political will. 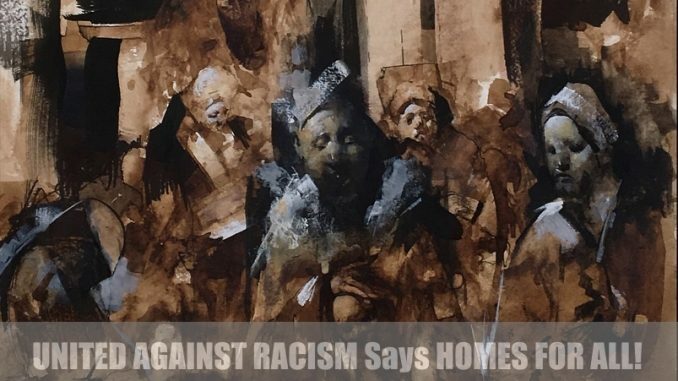 We reject the idea that the housing crisis is in anyway caused by immigrants, refugees or asylum seekers or that any solution to it lies in excluding or discriminating against them. The problem is the utter failure of government policy, the exploitation of the situation by landlords to raise house prices and rent, and the collusion between the political elite and the landlords. End Direct Provision – give asylum seekers the right to work. End placing Direct Provision Centres in remote locations with inadequate facilities. Repeal the 27th Amendment . All Children born here should be citizens.